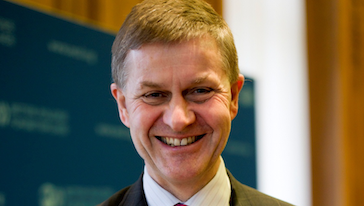 Erik Solheim is Chair of the OECD Development Assistance Committee (DAC) in January 2013. He has emphasized reform of Official Development Assistance, focusing more assistance to the least developed countries, using assistance to mobilize more private investment and to support domestic resource mobilization through better taxation. Erik Solheim is also serving as United Nations Environment Programme’s special envoy for environment, conflict and disaster. From 2005 to 2012 he was Norway’s Minister of the Environment and International Development. From 2000 to 2005, Erik Solheim was the main negotiator in the peace process in Sri Lanka. As minister he contributed to peace processes in Sudan, Nepal, Myanmar and Burundi.